If the headline interested you, then you have a potential to become a Product Manager. But potential still has to be realized. I would like to share several tips that can help you in that journey. What gets you out of bed every morning, what gives you energy when you’re exhausted, what you would enjoy doing every day of the rest of your life. For me, it took quite a bit of soul searching to understand – I want to help others, solve their problems. Looking back now, that was what shaped my decision to apply to a Technical Support Representative job at Workfront, which served as a stepping stone to become a Product Manager. When you do something you’re passionate about, the quality of your work skyrockets and you are able to handle a much heavier workload. This leads to faster knowledge accumulation and experience, as well as praise and recognition from coworkers and management. When I applied to my first internal PM interview, the interviewers already knew me and what I can do which definitely helped. I failed that interview, but there is another benefit of being passionate about what you do – you bounce back from failures extremely fast. A month later, there was another opening – I applied and got the Associate Product Manager job. Before applying, know not only what the job requirements are, but also what does it mean to be a good specialist for that position across the industry. Here is where books and training course come to help. The book that provided me with that information and was a huge help during interview process was “Inspired: How To Create Products Customers Love” by Marty Cagan. That book provided me with an understanding of what will be required from me in Product Manager position and that showed during interviews – I understood what interviewers were asking of me and was able to provide answers that made sense for them. Product Management is not an easy job. Knowing that beforehand will help you to decide if you are willing and ready to become one. Here is where point 1 becomes crucial – if you’re not motivated by what product management requires of you, you should definitely think twice before applying. One of the most critical skills for a Product Manager is being open minded. You will receive feedback that will render your entire perfect idea moot and you will need to adapt and pivot. And knowing your strengths and weaknesses shows that you are open minded enough to self assess which is regretfully a rare skill. Also, if you know your strengths, you can accentuate them during the interview process and you won’t be caught off guard if asked about your weaknesses. In my case, the strengths I focused on was my knowledge of the product and ability to learn quickly, which helped to offset my weakness – lack of experience in Product Management. Knowing those three points about yourself will help you to understand with clarity whether Product Management is for you or not. And if it is, a large part of Product Manager interview process is to understand those very points about the candidate, and you will be prepared ahead of time. 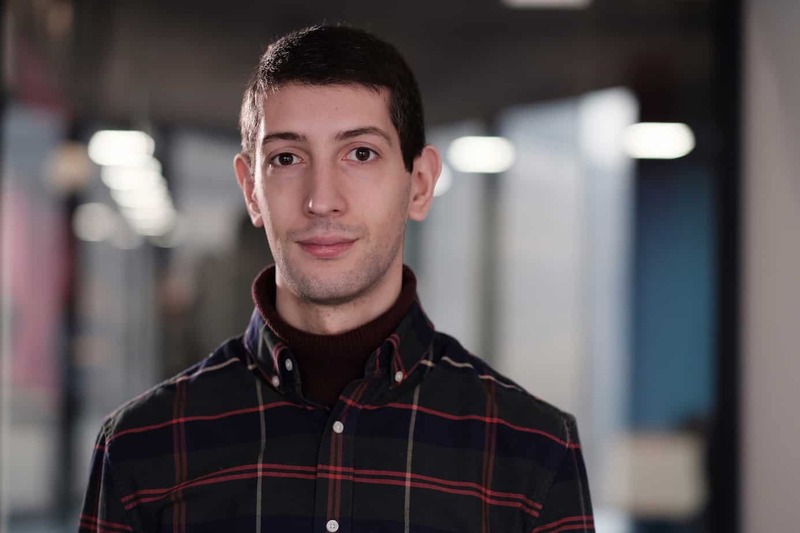 Vazgen Babayan is a Product Manager at Workfront, Workfront is a Lehi, Utah-based software company that develops web-based work management enterprise software. He is responsible for driving the strategy and execution for capacity management and planning modules of the application.